In medium saucepan, bring 1 quart (4 cups) water to a boil. Add beans; return to a boil. Cook 2 minutes to blanch. Drain beans; rinse with cold water to stop cooking. Arrange beans, tomatoes, carrot sticks and broccoli on serving platter. 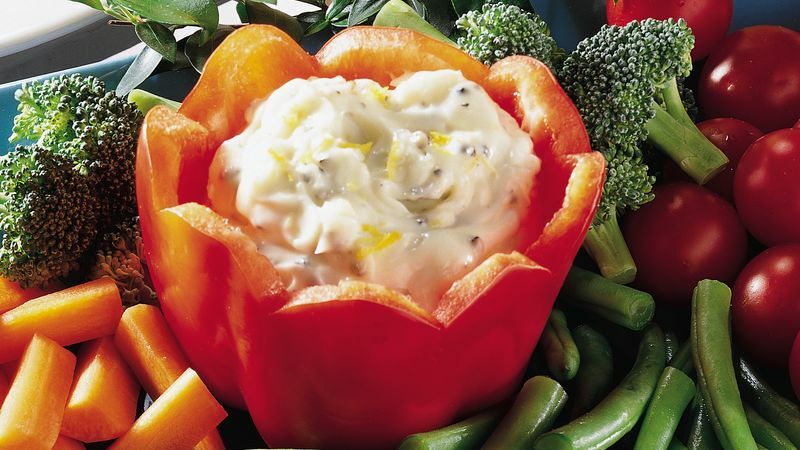 In small bowl, combine mayonnaise, lemon peel and pepper; blend well. Serve with vegetables.